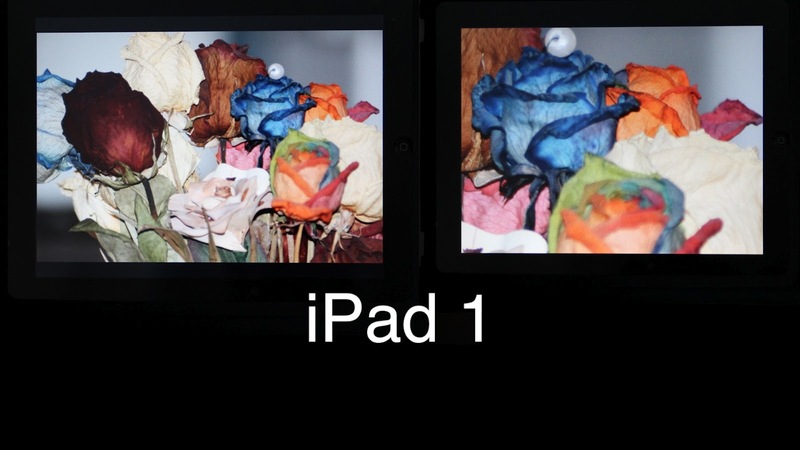 All the iPad has the same setting. The photo of the flowers ware taken with my Canon T3i at high resolution. The picture on the right is a zoom from picture on the left. 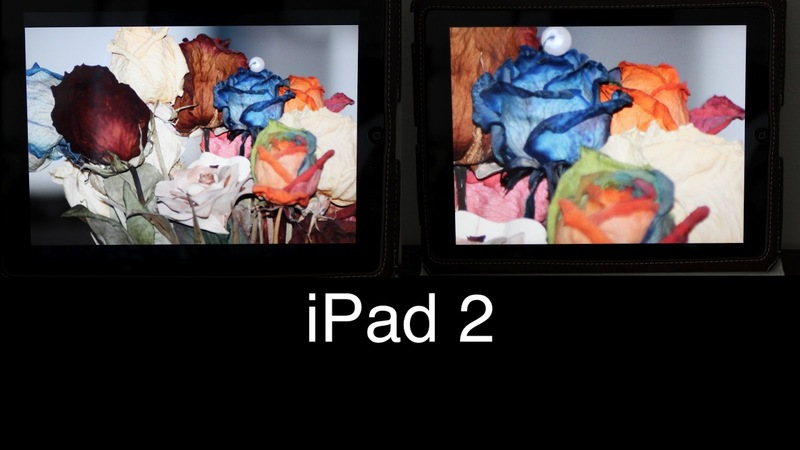 I can see a little difference while looking at the photos, but on the iPad 3 or The New iPad, I don't see any difference while playing with the apps or reading a book. I guess we will have to wait until they update the apps for the Retina Display. Also there is no difference between the iPad 2 & the iPad 3 speed wise. 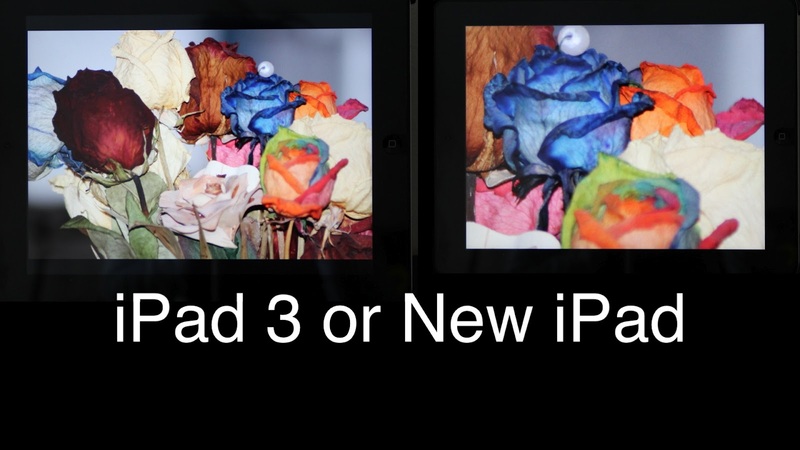 The 16Th of march, when I did go to buy the New iPad, The iPad 3 wasn't in demo, because I probably would have bought the iPad 2 if I had seen the New iPad in demo. Maybe in a near future I will be happy that I did buy it, but for now ??? One positive point: I have to say that the 5 m pixel front camera do make a huge difference. Update: Even with the Flipboard App updated for the so call "Retina Display", I can't see any difference between iPad 3 & iPad 2. I think I will return this "New iPad".